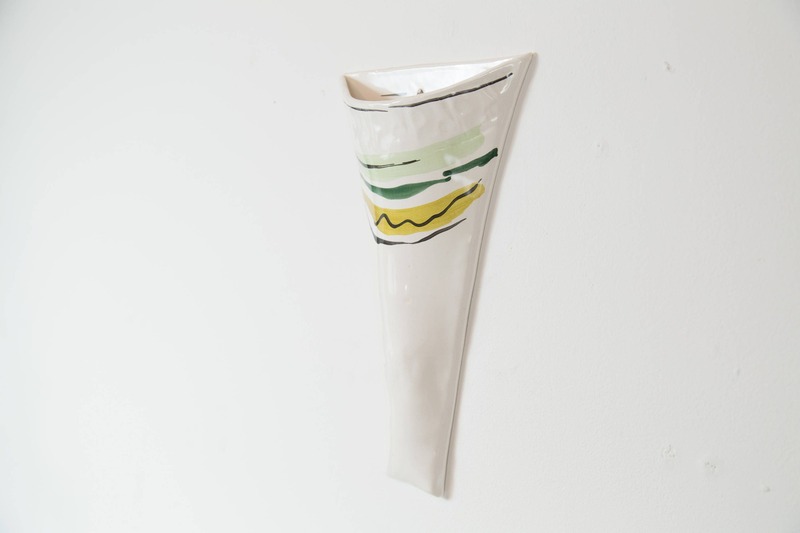 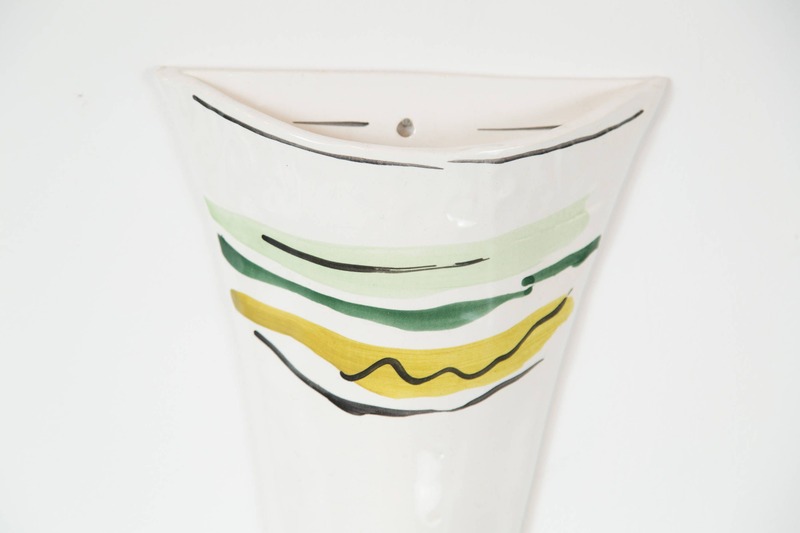 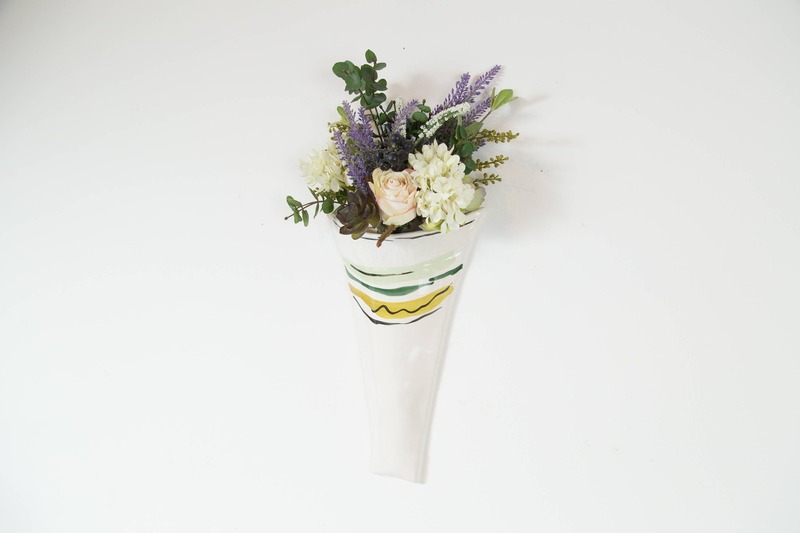 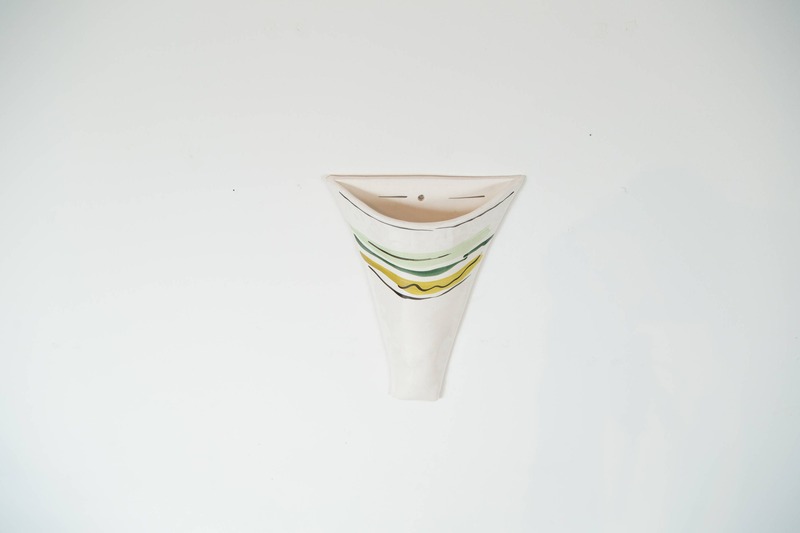 This is a fantastic looking vintage white ceramic wall vase with a green and yellow glazes patter at the top. 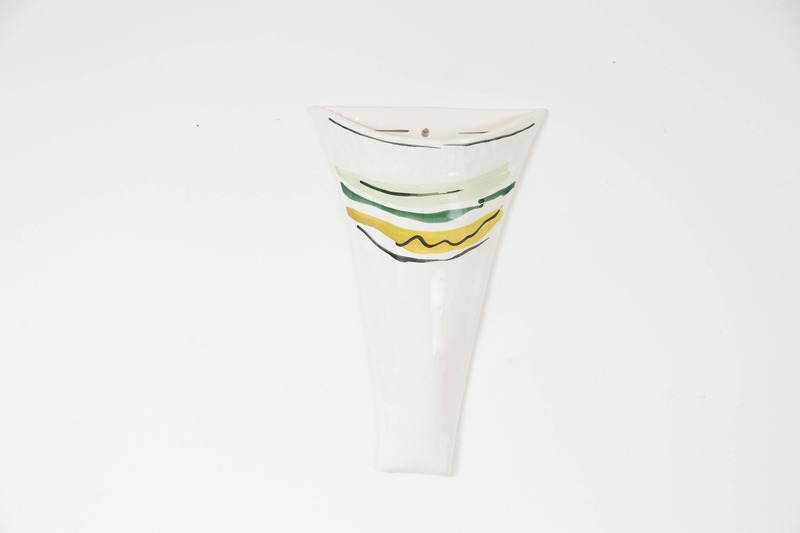 Features a gold banded rim. 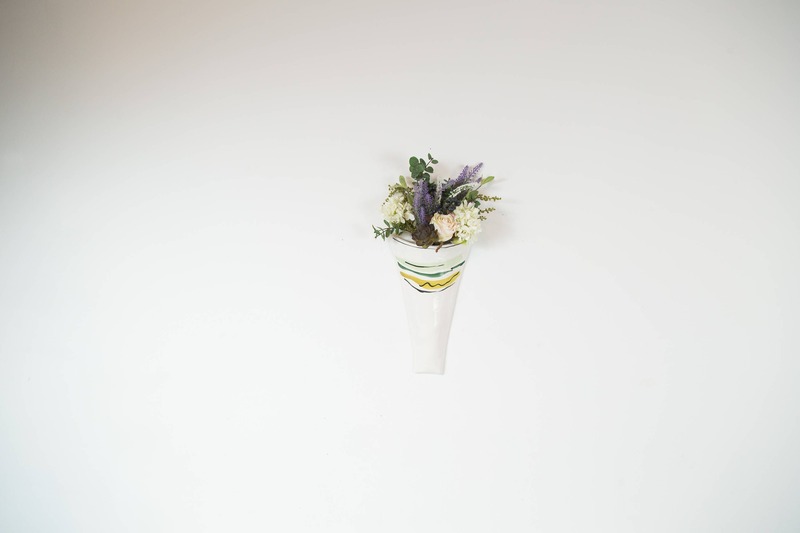 Hangs on the wall with a singe nail. 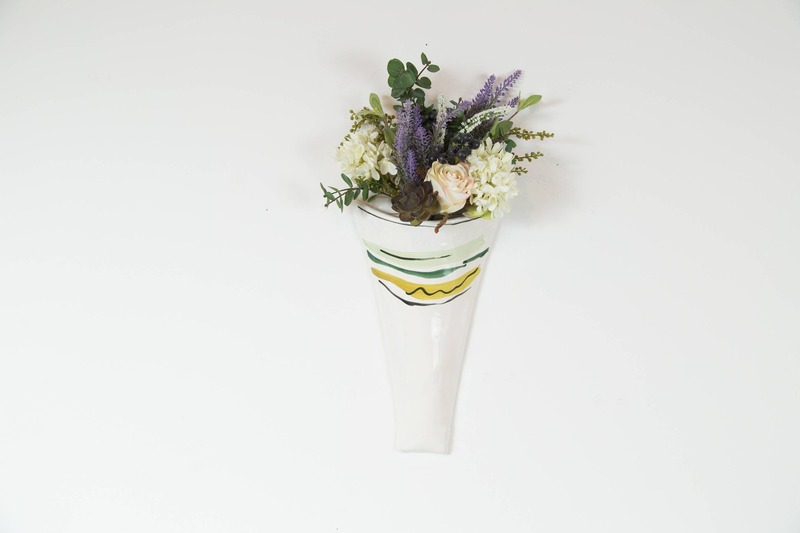 Excellent for a floral arrangement.